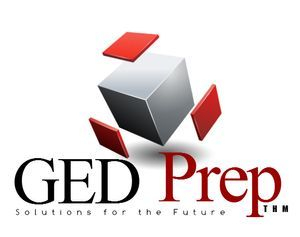 GED Testing Service introduced a new version of the test, given nationwide, on Jan. 1, 2014. Developers say the first major changes since 2002 will align the test with the new Common Core curricula adopted by most states to increase college and career readiness. It also will shift test-taking from pencil and paper to computer. Contact us for a start date and begin studying now! Need a payment plan? We can assist with that also in shaa'Allah. Take your first step forward towards solutions for the future in shaa'Allah. You must appear in person, at the testing center, to take the official GED® test. New Course date and requirements will be given when the student registers in shaa'Allah. Students should prepare for the course by reading the following topics from the book before the start of class inshaAllah. What is the test like overall? What should I know to pass the test? Who may take the test? May I retake the test? How can I best prepare for the test? How much time should I allow for studying before the test? What are some test-taking tips? How do I use the PreTests? The Pretests will help you determine what you need to study in this book. 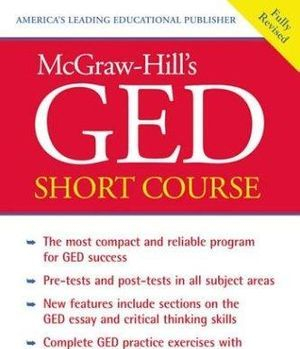 They are tests in the format and level of difficulty of the real GED Test, one-quarter-length. The results of these tests will help you map out a plan of study. We recommend the following approach to the Pretests. 1. Take only one Pretest at a time. 2. Check the answers in the Answer Key and fill in the Evaluation Chart. 3. Based on the information in the Evaluation Charts, you may choose to do one or two things. 4. For the best results you will want to review the section on Critical Thinking Skills, beginning on page 31. 5. Although these are Pretests, you should give them your best effort. Developing strong reading and thinking (reasoning) skills is key to your success on the GED. There are 50 multiple choice questions, and you will be given 80 minutes to complete the test.
" The PASS Test was developed specifically for home schoolers. It has certain similarities to other achievement tests in that it estimates student achievement in the subjects of reading, language, and math. For grades 3 - 8." Alhamdulillah, here is a basic form that you as Muslims can use as your Last Will and Testament to avoid any complications at the time of your death. This simple form will give the Muslims the right to take possession of your remains and to distribute your property according to Islamic Law (shariah) inshaAllah.